The salaries and benefits are hard to beat when it comes to pay and opportunities in the commerce and industry sector. This challenging business sector can be very financially rewarding to those who progress up the career ladder. In many jobs there are opportunities to share in your company’s success with benefits, stock options and bonuses. Salary expectations will vary greatly in the commerce and industry sector and will be dependant on the career you choose. However, graduates who start in trainee financial positions such as accountants can expect a salary of around £20,000 and full study support. 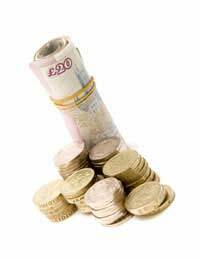 Salaries should rise to between £30,000 and £40,000 once trainee accountants are fully qualified. Senior management accounting positions can see salaries of around £50,000 plus benefits. Jobs in the commerce and industry sector can prove to be very lucrative for the right employees. One of the many perks of a career in the commerce and industry sector is the excellent bonuses available. Bonuses can add a lot to a base salary, and for many professionals annual bonuses can be a large percentage of their annual salaries. Bonuses can be performance related pay, commission, or in the form of stock in the company. Many companies allow their employees to share in the company’s success. This is a good way to raise employee performance and productivity levels, and to make employees feel more a part of the company. Joining the right company can bring many perks on top of salary and pay bonuses. Employees can take advantage of a huge range of discounts on goods available including leisure clubs and financial products. Some large companies will even have low cost holiday homes available to employees. There are also large retailers that offer low cost accommodation to their employees. Most companies will offer private medical insurance and of course pension schemes are available. Company cars are usually a standard bonus for many mid to higher level employees. Career development is taken very seriously by large organisations in the commerce and industry sector. Many of these companies will pay for study time and exams for employees during their training period. In house training is also an option for those without financial qualifications. Companies will expect a high level of commitment and performance from their employees in return for these rapid career progression opportunities. There is enormous scope for qualified employees to branch out into different types of jobs once they are on the career ladder. The commerce and industry sector recognises hard work in their employees and the financial rewards do reflect this. This can be one of the most lucrative business sectors. Hard work and career dedication will be rewarded, and job satisfaction levels are high in this industry. If you have some form of business or financial qualification then considering a career in the commerce and industry sector may be a wise option.